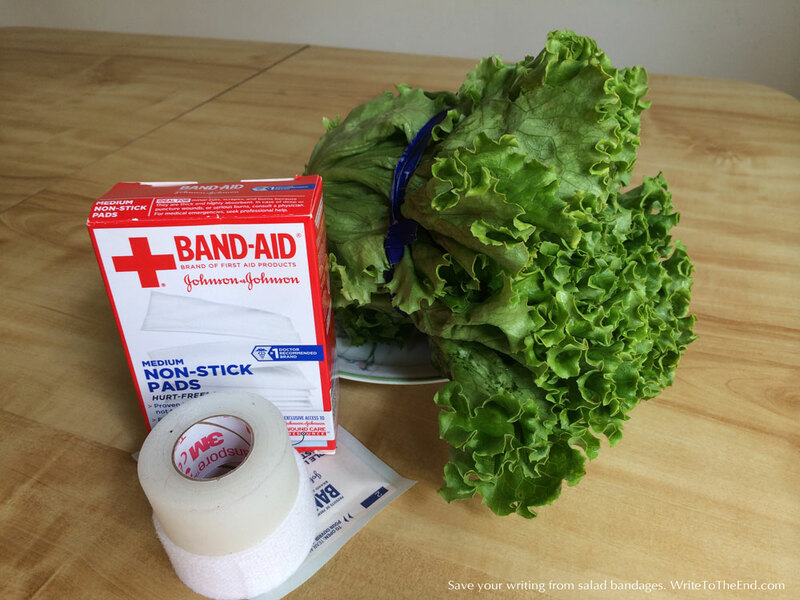 This entry was posted in Improve Your Craft, Revision, Tips and tagged advice, salad bandage by Keiko O'Leary. Bookmark the permalink. Sound advice Keiko…hope all is well with your family. I agree, the hazards of the lexicon are very recognized. I understand this difficulty continually in the text of those who desire to sound more learned than they actually are. I am so pleased you took the occasion to write this considerate and educational piece of script. Oh my goodness, this brings back a memory of my work in a writing center where i sat with a student who seemed perfectly fluent in English when I talked to her, but yet her paper was so foreign-sounding. I would pause after a sentence and ask if she could put it in other words. Sure, she could! “Say THAT!” I’d proclaim happily. Finally, I stopped and said, “At first i thought you were an ESL student because this wording was not like a native speaker, but you speak English perfectly well. How did this happen?” You know the answer: online thesaurus.